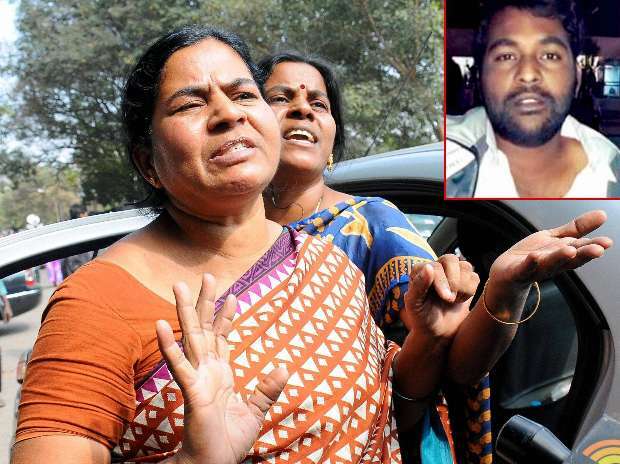 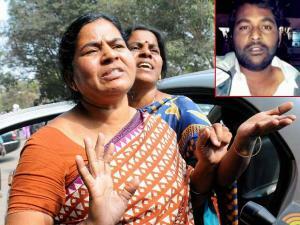 Mother of Rohith Vemula (inset), a doctorate student at the Hyderabad Central University who was found hanging in a hostel room, speaking to media about his son’s depression at Osmania General Hospital in Hyderabad. 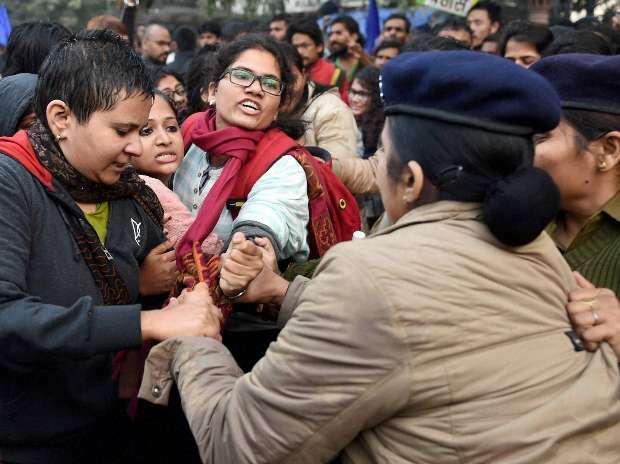 Police detain girl students during a protest against the Ministry of Human Resource Development in New Delhi over the suicide of a PhD scholar Rohith Vemula at University of Hyderabad. 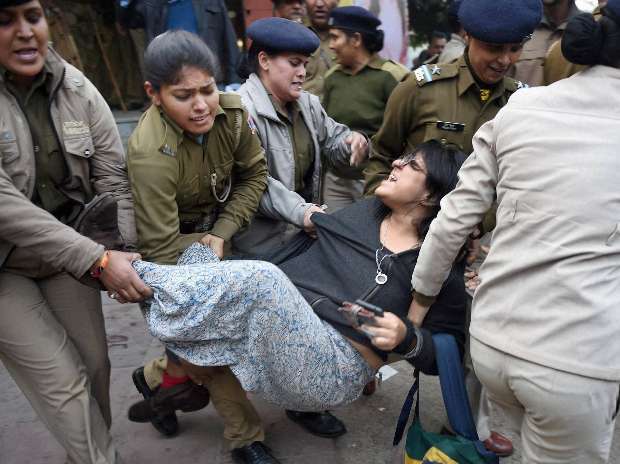 Police detain a girl student during a protest against the Ministry of Human Resource Development in New Delhi over the suicide of a PhD scholar Rohith Vemula at University of Hyderabad. 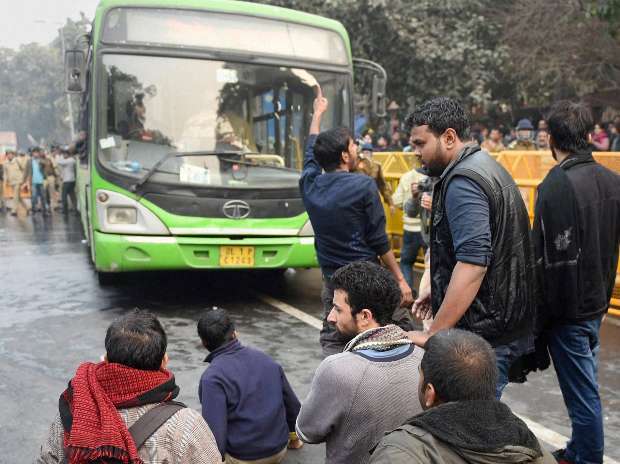 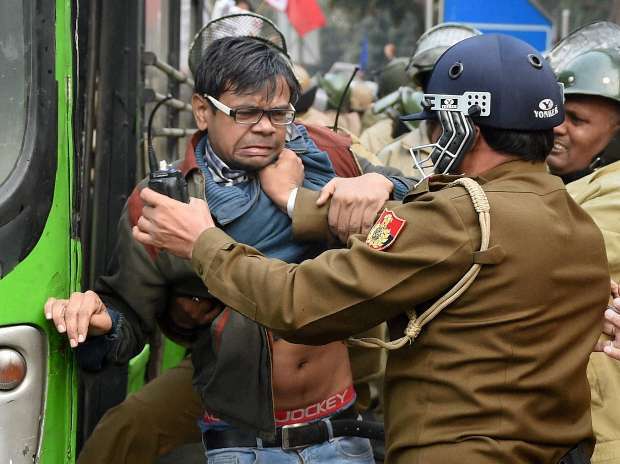 Police detain students during a protest against the Ministry of Human Resource Development in New Delhi over the suicide of a PhD scholar Rohith Vemula at University of Hyderabad. Police detain a girl students during a protest against the Ministry of Human Resource Development in New Delhi over the suicide of a PhD scholar Rohith Vemula at University of Hyderabad. 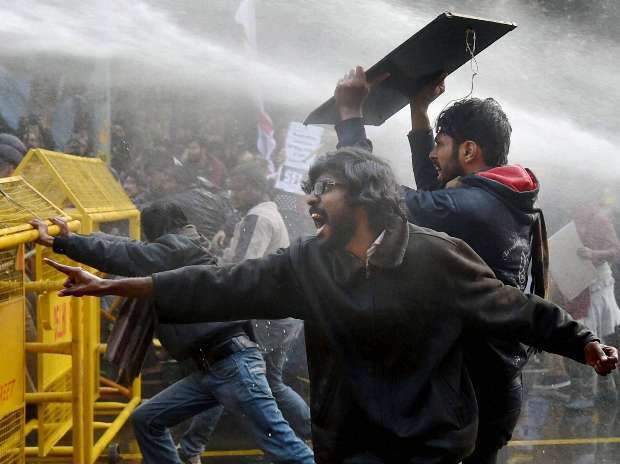 Police use water cannons to disperse students during a protest against the Ministry of Human Resource Development in New Delhi over the suicide of a PhD scholar Rohith Vemula at University of Hyderabad. 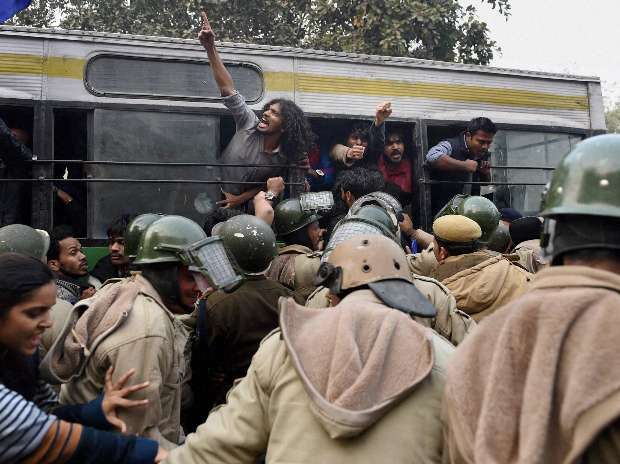 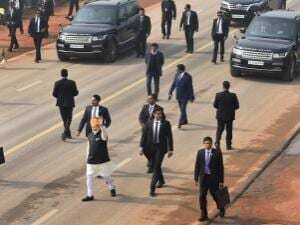 Students block the road during a protest against the Ministry of Human Resource Development in New Delhi over the suicide of a PhD scholar Rohith Vemula at University of Hyderabad.